Is your company name recognizable? Branding is an important aspect of growing and maintaining a business. Find out how Print Marketing helps companies with branding. Every day, people are bombarded with thousands of marketing messages from email, texts, feeds, social media, advertisements and more. It can be overwhelming, making it hard for companies to be noticed. Your company needs to break through all of the noise and be seen by the consumer. The first step is to consistently brand your company. Healthcare – The healthcare industry requires constant communication between providers, patients and insurance companies. Insurance Carriers – Insurance companies need to educate and communicate with consumers. Financial Services – The financial services industry needs to communicate with shareholders and investors. Colleges & Universities – Targeted marketing direct mail campaigns can help you find prospective students, fundraise, and keep in contact with Alumni. Business & Services Industries – Whether you are in retail or hospitality, provide goods or services, you need to get the word out to a targeted group of consumers about your company. It’s time to concentrate on branding your company, and print marketing can be a good place to start. Whether it’s brochures for your sales team, e-statements for your customers or fundraising materials, your company’s brand can benefit from a consistent and professional image. Why is branding important? What can you do to integrate your brand in your print products? Print pieces in a campaign should not only sell your products or services, but they should also build your company’s image. This can be done with print marketing using your company logo, a tagline and a color pallet the same way every time. Your company colors should be the same. Your logo should be sized correctly. When these marketing elements are used clearly and consistently, your company will look the same everywhere it appears. That’s called branding. Business cards, letterhead, brochures, envelopes and folders. Direct mail campaigns including postcards, catalogs, and letters. Press releases on company letterhead. Promotional items such as cups, pens, and notepads. Customers will use your branded items in their life and provide passive referrals. Banners and posters for large-scale events. Apparel for your employees with the branded color scheme, logo and marketing message. 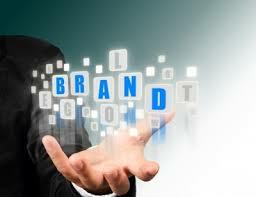 Your branding should become the way of life at your company, from answering the phone to how your business cards look. Make your message clear to your customers with a clear and strong branding campaign. brands builds incredible value for companies and corporations.” As Scott Goodson for forbes.com states, branding is essential to businesses and brands mean money. Think of some recent company acquisitions like Cadbury and Range Rover. Were these companies bought for having the best chocolate or being the best SUV? No, they were valued and purchased because their brand has been developed and refined and is recognized worldwide. Branding goes beyond your company’s logo. It encompasses the entire customer experience and how your customer perceives your company. Whether you’re in the healthcare, insurance, financial or services industry, your brand can differentiate you from the rest of the field.